Our graphic summarizes the tasks and Mrs. Morris will explain each task in more detail below. Cassandra wrote about her favorite festivals and celebrations. Some people enjoy making a craft for special holidays and seasons. If you’d like a commenter and others to visit your post about celebrations, fill in the form. Music is something that can connect people, no matter where you live, what language you speak, or how old you are. This week, we’re going to discuss all aspects of music — what we like, what we don’t like, how we use music, and using music legally. There were so many great posts submitted again by classes and students. You can find them all here (or click on the week 5 box on the sidebar). Mrs. Ruffing is a teacher in the US who is also volunteering as a commenter. She has written some great posts like this one to share her commenting experiences with her students. She also wrote a post about netball. If you know about netball, please comment! 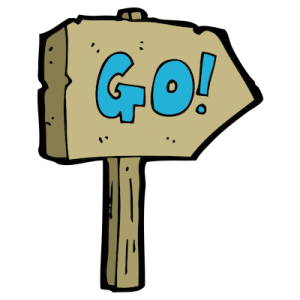 Ready, Set, Blog is a class in Melbourne, Australia with student blogs. I like the way the teacher wrote a post with some recommendations of student blogs to visit. For example, Oliver made a voice recording. Allie in New Zealand also made a Google Form with lots of great questions about school. I like the way she included the links to the blogs of 3 other students she’s connected with. Kalani in New Zealand wrote a great description of her school day. I like the way she broke up her text and used bold words. It makes it easier to read! Pio in New Zealand used bullet points to ask some questions and share some information about school. Bullet points (or dot points) can make posts easier to read! We’ve also had some more week 4 free choice submissions this week. Our friends in Mrs. Matveyeva’s class in Kazakhstan have written about their spring festival called Nauryz. Georgina from Australia wrote an impressive free choice post about widgets. There are so many different types of music enjoyed around the world. Remember back in week 3 we discussed how you can’t just use any image that you find online? Well, the same applies for music. Most music is protected by copyright. So you can’t use it for your own digital projects without permission or paying for a special license. Not so long ago, when people wanted to listen to their favorite song, they had to wait until it came on the radio or buy the CD/cassette/record. Now there are choices but it’s important to know what you can and can’t do with music. Normally, you can’t just use any music you like in something you’re creating — like a video. So, if you have a public blog, you aren’t allowed to put a video on there that you made with copyright music. And you couldn’t show your video at a public event. However, it’s okay if you’re just showing the video to your teachers and parents. Hopefully, you do want to share your work with a public audience. That’s what this challenge is all about! Don’t worry. You can still use music. I’ll share some options below. Note: This is the case in Australia and the US but if you live in another country you may need to check your own guidelines. There are popular sites and apps where you can pay to download music legally — for example, Apple Music, Google Play Music, and Spotify. You can listen to your downloaded music yourself, but can’t upload it to your blog or to a video or other project you’re working on. You also can’t use it publicly (e.g. at a school event, store, or public event). It’s fine to stream music online on sites like YouTube (although remember, YouTube is 13+) but it’s not usually legal to download the audio from a YouTube video as explained in this article. …it’s not possible to use Spotify in public places (such as bars, restaurants, stores, schools, etc.). You may only make personal, non-commercial, entertainment use of the content. Most streaming services are similar. Embedding a video from a site like YouTube or Vimeo into your blog is usually allowed. If the host provides an embed and you embed it using their code according to their rules (usually that means not trying to hide branding), you can embed it without violating copyright. You can also listen to music by buying a CD or borrowing one from the library. Although digital music is becoming a lot more popular than CDs in many parts of the world. Again, you can’t copy the music from a CD and use it for another project (e.g. upload it to your blog or add it to a public video). Remember, I’m no legal expert and things are different in different countries so please contact me if you have any extra information. We can all learn together! Just like with images, there are options for students and teachers who need music or sound clips for a video, slideshow, or other digital projects they’re working on. Dig CC Mixter offers thousands of hours of free music. The music on this site has different Creative Commons licenses so you need to check whether you need to attribute the music or not (attribute means saying who made the music and where it’s from etc). Educational Blogger Richard Byrne’s video below explains how to use Dig CC Mixter and filter by license. During 2018, the BBC made over 16,000 sound effects available to use for personal, educational, or research purposes. You can browse by category to find the sort of sound effect you’re after for your project. You should put a link in your project or blog post to say that your sound effects were from the BBC and link to their site. YouTube also has a great library of music you can use although remember YouTube is 13+. Visit the AudioLibrary to browse the selections. If you click on Attribution, you can filter your results to find music that doesn’t need to be attributed. You can preview the music to see what it sounds like and download the music you like. Want more places to find free music? This week you can choose from a list of 8 ideas to create a post about music. Complete at least two! 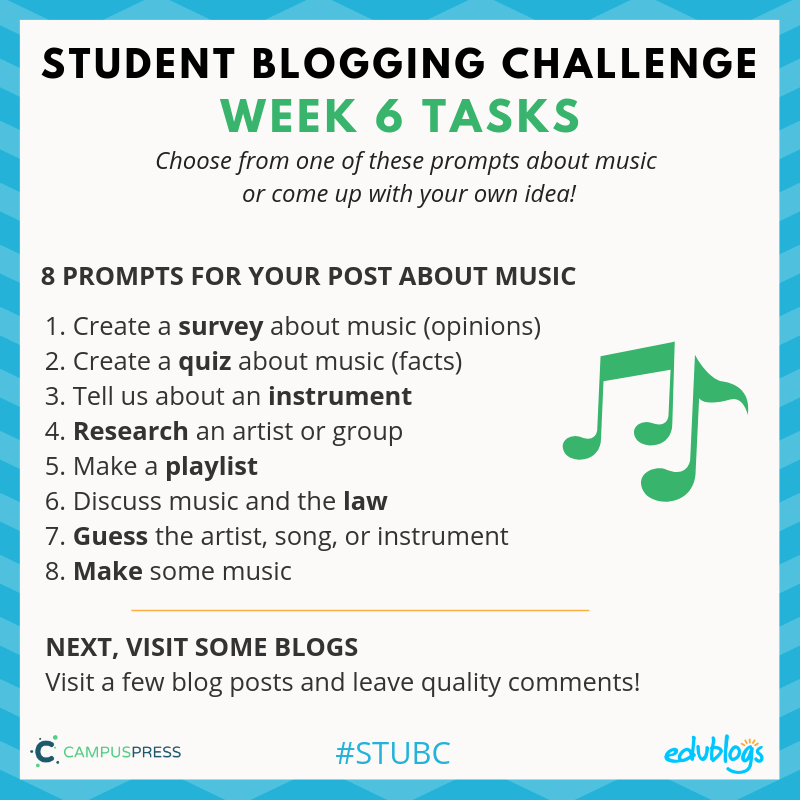 Because the topic of music is a new one for the Student Blogging Challenge, we don’t have many examples to share this week. Choose one or more of these ideas to create a post about music. Or, you might have your own idea! Create a poll to survey your readers (Google Forms is a good way to do this or you could use a tool like Crowd Signal). Alternatively, you could write some questions that you’d like readers to answer in a comment. Idea: When your survey is completed, you could share a summary of your findings. I love a tool called Beam for making simple charts. Google Forms is great for making quizzes but please make sure it’s public. You could also make a Google Slides presentation. The question could be on one slide, and the answer on the next (or all the answers could be at the end of the presentation). Remember to please make sure any Google Forms/Slides/Docs etc. are public. Do you have a favorite instrument? Or perhaps there is an instrument that fascinates you and you might like to do some research and write a post about it. Don’t forget to include an image or embed a video. Example: Ash wrote a post about the ukelele for her free choice post in week 4. Find out more about a singer, songwriter, musician, or group. This might be someone who is popular now or performed long ago. Share some interesting facts in a post. Bring your research to life with an image or video. Music lovers have enjoyed making their own playlists for years. A playlist can celebrate a certain artist, genre, or mood. Write a blog post that includes a playlist of your favorite songs. Don’t forget to explain why you like each song and why it’s part of your playlist. Example: Principal Meredith Akers made a playlist by embedding YouTube videos into her blog post. Many people don’t realize that by using music illegally, you are putting artists at a disadvantage because they are not getting paid for their work. Do some research and write an article about the downsides of using music illegally. 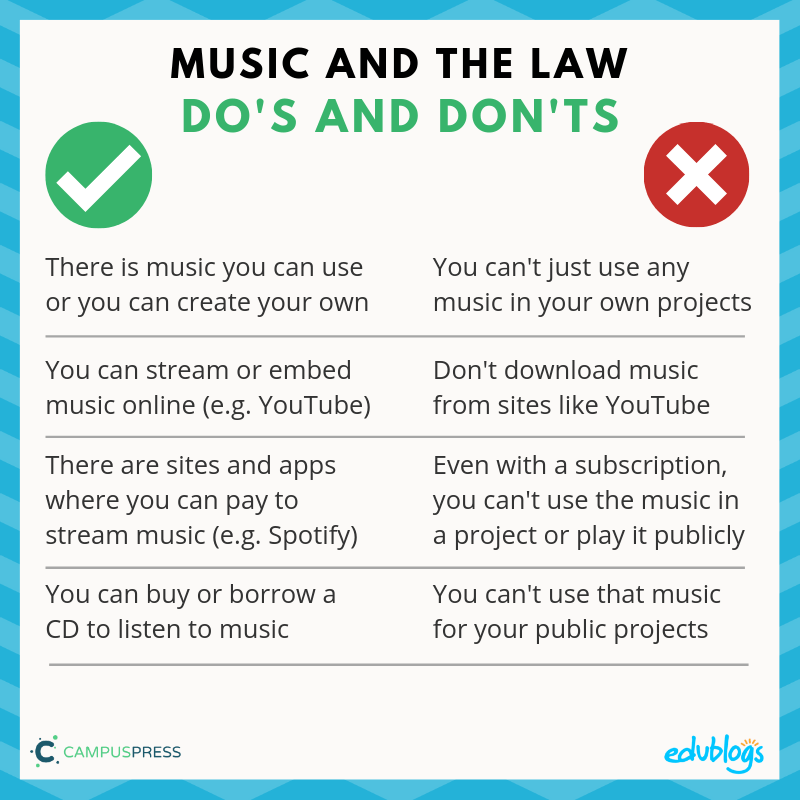 Alternatively, you might like to write a post about do’s and don’ts of using music legally. You might be able to teach others who aren’t aware that there are rules we need to abide by. Give your readers some clues as they scroll down the page and have them guess the artist, song, or instrument. You could put each clue on a slide of a Google Slides presentation if you prefer (just remember to make sure your Slides presentation is public). Invite your readers to put their guesses in a comment. We don’t just have to talk about music or listen to others’ music. Why not make your own. There are lots of apps and websites where you can make music. Play around with it to make a tune and then click Save in the bottom right-hand corner. Next, you can copy the embed code. Another option is to copy the link to your song if you don’t want it embedded in your post. Another music creation tool that is popular and free for all ages is Incredibox. As always, an important part of the challenge is to connect with others. You never know what you might learn or who you could connect with! When you’ve finished your post, choose a couple of blogs to visit and leave a quality comment. Remember to ask a question and check back to see if they replied to you (most platforms have a box to tick so you can get an email when there is a follow-up comment). You will find the link to the week 6 participants’ posts on the sidebar of this blog on Tuesday. If you’d like a commenter and others to visit your post about music, fill in the form below. Important: Please make sure you write a blog post and don’t just submit the link to a quiz or song. Otherwise, commenters and other visitors won’t be able to leave a comment. We’re almost halfway through the Student Blogging Challenge! This week we’re looking at the fascinating topic of school around the world. I wonder how your school is similar to or different from others? There were hundreds of great posts submitted again by classes and students. You can find them all here (or click on the orange week 4 box on the sidebar). Serge Galligani’s class in France made a terrific video about Earth Hour which they translated into English. SathePrincess14 from India wrote a post about Holi The Colourful Festival. Alex from the UK told us about his family and he’d love to hear a bit about your own family. Xyza and Mr. Mike’s class from Thailand wrote about planting their own produce. Micah from Panama wrote about a bird called the rufous-crested coquette. Miss Blessing’s young students in Vermont USA have been writing some great poems. Here are some examples from Bunny Jumper, Bee Buzzer, and Lead Dog. I love the way they include photos of their drawings. Mackenna is a third grader who invites you to sprinkle kindness. Sophia from Pennsylvania, USA is rhinestone crazy and is happy to answer questions about rhinestones. Mrs. Yollis and her 3rd grade students continue to be STUBC role models. I encourage teachers to read this post about how Mrs. Yollis helped a student find an audience. Also, check out some of the excellent posts on the blog sidebar. Whenever my own students have connected with other classes through blogging, Skype, or other projects one thing they’ve been really fascinated is school. It’s funny how schools can be very similar in some ways but also very different! What sort of school do you go to? Let’s take a quick look at how school varies around the world. This video from INSIDER shows what school looks like in 27 countries around the world. Was your country included? Did it look accurate or not? To learn more about school around the world, check out this show on Google Earth called This Is School. From London to the Himalayas, you can explore classrooms around the world in Street View. 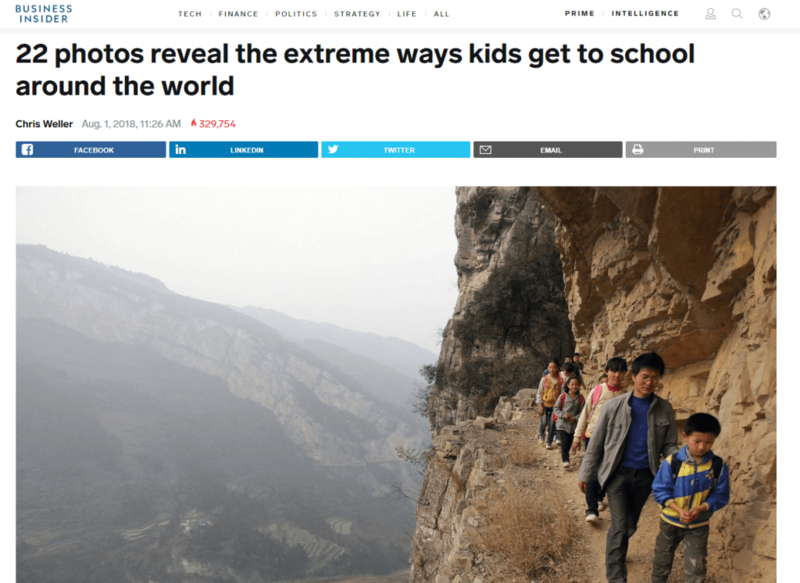 This article on Business Insider shows some amazing photos of how students around the world get to school. 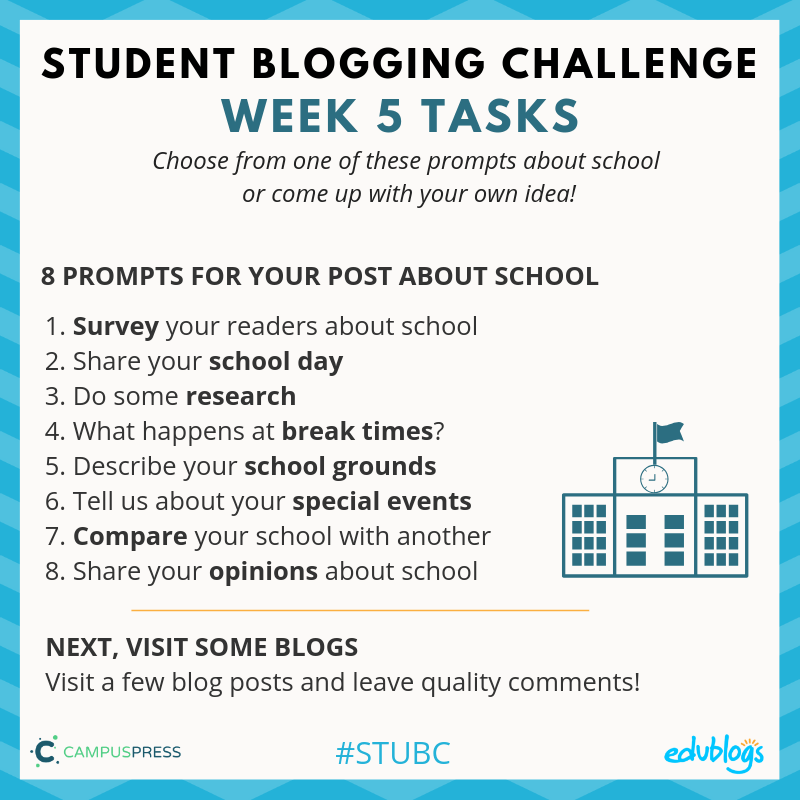 This week you can choose from a list of 8 ideas to create a post about school. Or you can come up with your own idea! Thanks to Sue Wyatt who came up with many of these ideas for previous challenges. 8 Prompts For Your Post About School: Complete at least two! 💡 Remember it’s important to think carefully about what information we publish online. Students should check with their teacher about whether it’s okay to mention their school name. If not, you might just like to tell people your state/country. Another thing to consider is writing about your plans (e.g. instead of saying “I have karate lessons at the town hall at 4pm on Thursdays” try “I enjoy weekly karate lessons”). Example: Emma made a survey using Google Forms. Write about your school day or make a slideshow or video to explain it. What is your timetable like? Do you have set subjects at certain times? Do you have one teacher or many? What time do you begin and end school? Do you get to choose what you learn? What technology do you have at school? Do a little bit of research for a new post. Research the history of your school and create an “About my school” page. Research a famous person who attended your school. How has schooling changed over the years? Interview parents or grandparents and ask questions about schooling. You could make a written interview, make a video, or make an audio recording (Anchor is a great tool for making audio recordings). 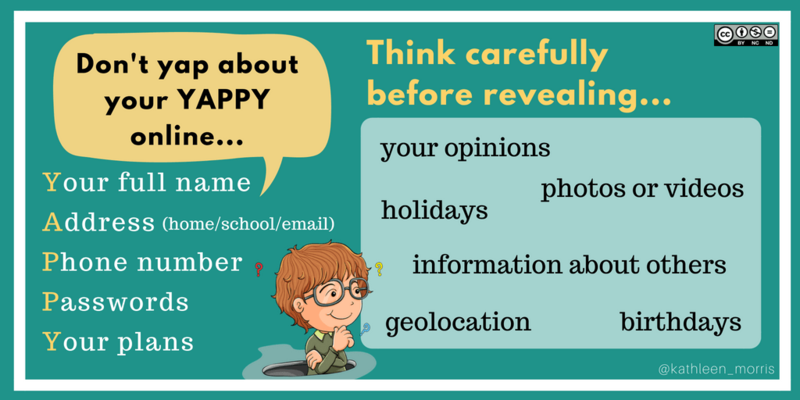 Find out more about someone at your school who you don’t talk to very much. Maybe you could interview a student who is older/younger than you. Or you might interview your cleaner, crossing supervisor, canteen worker etc. Example: Farrah asked her parents about how school has changed. 4) What happens at break times? Tell us what you do at break time or what’s popular at your school. The food you eat at school. Do you take your own lunchbox or do you buy lunch? Include some photos if you can! What do you do at break time? Are there any popular games, sports, or activities at your school? What precautions do you have to take from the weather at break times? Hats? Sunscreen? Snowsuits? Is school ever canceled or do you ever have to stay inside? Example: Van Anh explained how to play a traditional Vietnamese game. Tell us a bit about your school grounds. You could even draw a map, or make a slideshow or video that gives readers a tour of your school. What sort of play areas do you have? Playgrounds? Fields? Courts? What special buildings do you have? A gym? A library? Example: Mrs. Yollis class made this great school tour video when I worked on a projectwith her for International Dot Day. Does your school hold any special events? Maybe a fair or fete, a dress-up day, a fundraiser, camps or school trips? Share the details in a post! Example: Jueun wrote about a sports event held in his district. Find a video, photo, or article to shows what school is like in a different part of the world. Feel free to use the resources I added above. Write about the similarities and differences as well as the questions you’re pondering. Alternatively, if you’ve been to more than one more school you might be able to compare them in a post. Example: Yuyang compared his school experiences in China and Senegal. What’s your ideal school? You could even include a map of what it would look like. Share your opinion on uniforms, school starting times, homework, recess, or another controversial issue. What do you dream of doing once you finish school? If you were principal for a week, what would you do? If you have any other ideas, that’s great! Write about anything that relates to schooling around the world. Examples: Fran wrote about his plans for when he finishes school while Van Anh shared her opinions on school uniforms. An important part of this topic is to find out about some other schools. You never know what you might learn or who you could connect with! You will find the link to the week 5 participants’ posts on the sidebar of this blog on Tuesday. It’s time to start the challenge! At this point, we are all veterans so I will post a shortened post of this first introductory week. The actual post is quite long because there some reminders to go through. Click here to refer to the actual post. If you do, use the menu on the right-hand side of the SBC page to help you navigate the post (you might not see it if you’re reading this on a phone or tablet). 1. 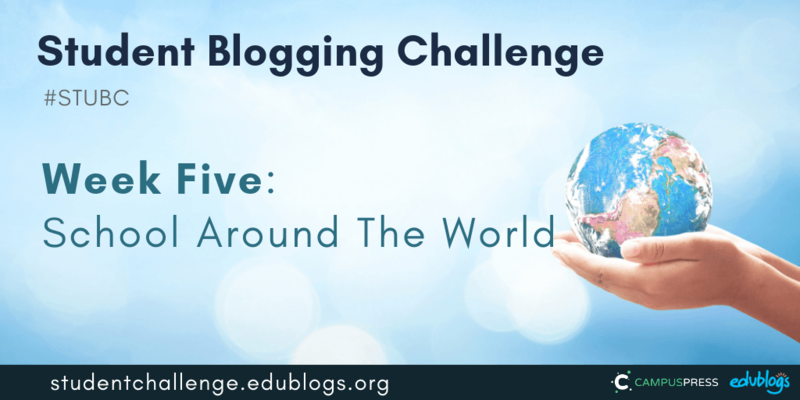 Kathleen Morris is the teacher who runs the Student Blogging Challenge from Australia. 2. So far we have nearly 800 individual students and 115 classes registered. Our participants represent 25 countries and 6 continents. Most of us have completed these tasks, but if you did not, please do! If you would like to do these tasks again on your individual blogs, you may do so. Never share your YAPPY online. Once you’ve made your avatar, you need to add it to your blog so it shows up when you comment. 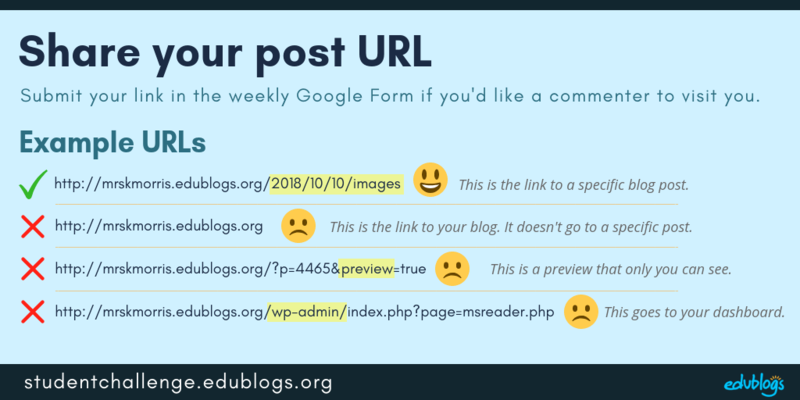 If you’re using Edublogs, check here for instructions. Task 2: Write or update your About Me page. If you’re using Edublogs, click here to find out how to add an About page, or watch the video below. Zaprina made a creative About post that’s an acronym of her own name. It includes paragraphs and colored text. Write a ‘Who am I?’ or list of things people might not know about you like Ms.Herring, Mrs. Keane, and Mrs. Lyttle. Task 3: Visit other blogs. Start making connections! Remember: The more you put into making connections during this challenge, the more you’ll get out! 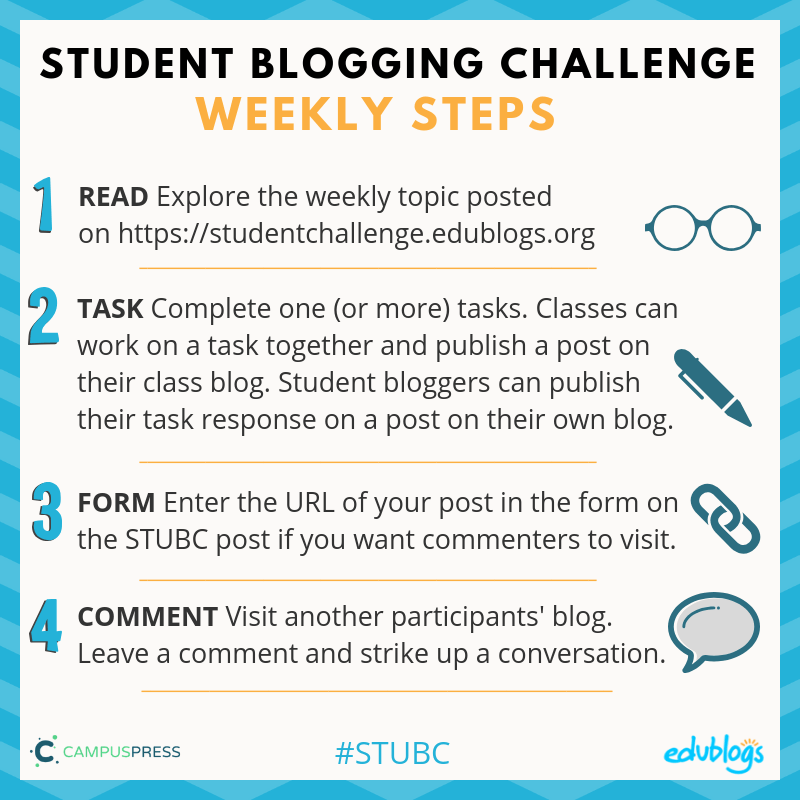 There are two places you can find other participants’ blogs to visit: Student bloggers and page for class bloggers. These are sorted by age. Student bloggers have hobbies listed so you hopefully can find someone who is not only a similar age to you but shares some of your interests. You need to submit the URL of your post if you made a new one. This is the final Student Blogging Challenge post for 2018. It’s time to reflect and celebrate! There are already some great posts about coding. You can find all the submitted tasks here. There will be more added over the coming days. Mrs. Yollis’ class tried robotics. The students at St. Francis share some of their Scratch and Espresso Coding work. Malaika did an excellent job of completing three tasks. Kaylie also did a fantastic job of completing three tasks about coding. You can look back at some of the great work on our 2018 Student Blogging Challenge Flipboard. Thank you for all your comments for Alex! He is enjoying going through them. Alex is currently traveling so stay tuned for some answers in the future. While the Student Blogging Challenge is coming to an end, we hope this is not the end of your blogging journey. We encourage you to keep blogging and connecting. If you need ideas for your blog posts, check out this recent post on The Edubloggerwith 50 prompts for students. 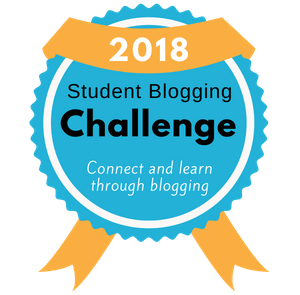 This was my first time running the Student Blogging Challenge and I’d like to thank everyone involved. A BIG thanks goes to Miss W (aka Sue Wyatt/Tasteach). Despite officially stepping down from running the challenge, Sue has played a hugely important role behind the scenes leading our commenting team and tirelessly visiting student blogs. We appreciate you, Sue! Another big thank you goes to our team of commenters who provided an authentic audience for our students and classes each week. Your comments made a big difference to the confidence and motivation of our bloggers. We hope you’ll return again as a commenter next year. It has been fantastic to see such enthusiastic participation from our students and teachers across the world! I hope you’ve all learned something and made some connections. 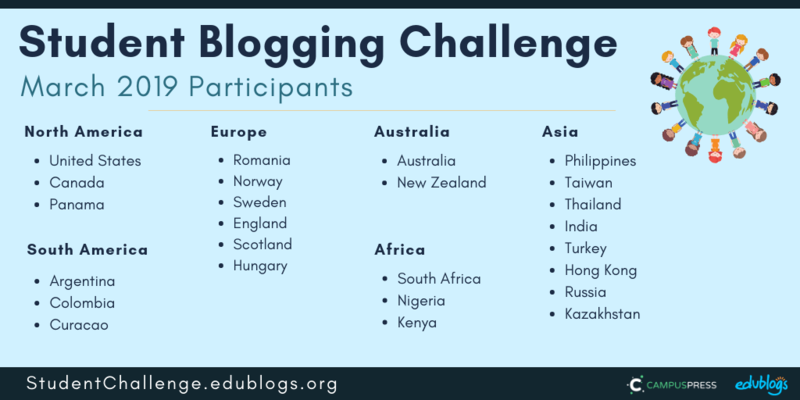 The Student Blogging Challenge will start again in March 2019. Spread the word! This week there are two tasks to complete. Part One: Write a post on your blog reflecting on your participation in the challenge. How many weeks of the challenge did you participate in? How many posts did you write in the ten week period? How many comments did you receive from classmates, teachers, or other visitors? What are your plans for your blog now? Will you keep posting? Part 2: Ask a student/teacher/family member who might not have read your blog to do an audit. In the same post as part one, write about your auditing experience and their answers to the questions below. Please complete our survey so we know what you enjoyed most about the challenge and what we could do to improve things in the future. Click here to open the form in a new tab. If you want a commenter and other participants to visit your final task on your blog, remember to fill in the Google Form. 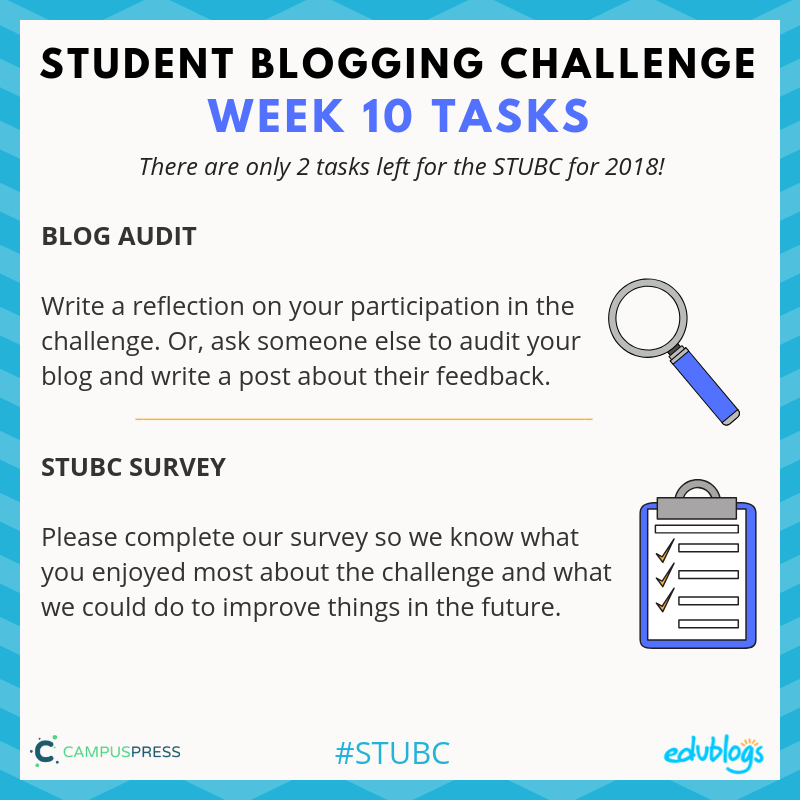 So far in the Student Blogging Challenge, we’ve done a lot of creating and communicating with our blogs. 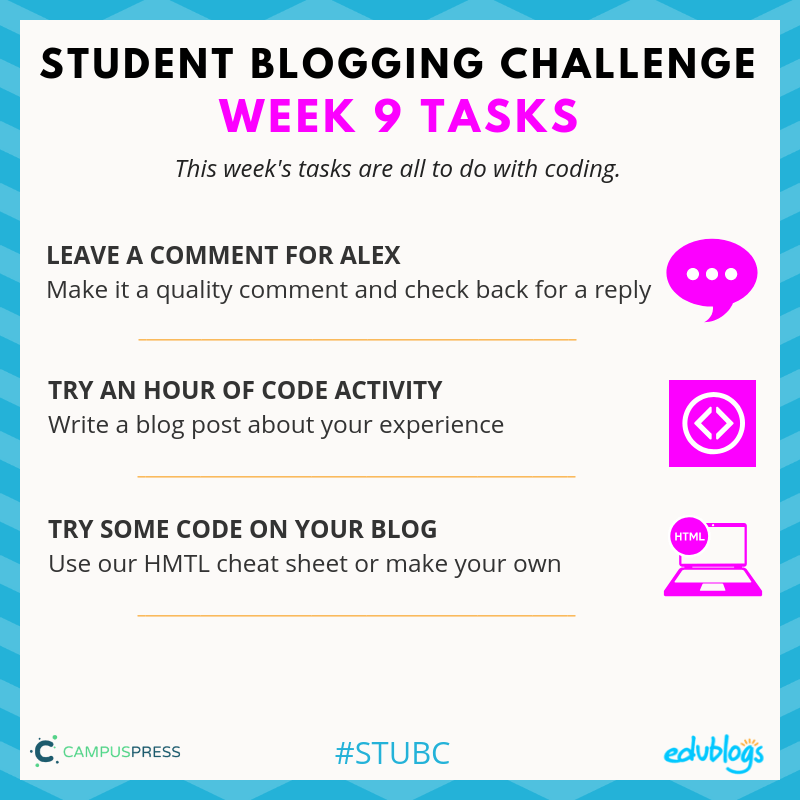 This week, we’re looking at the more technical side of blogging and computers: coding! I’ll be introducing you to my colleague who is an inspirational young coder and we’ll also be celebrating Computer Science Education Week (December 3-8). There were lots of great tasks submitted last week! A number of students were inspired by Mrs. Vazquez and gave their blog a makeover. Check out some examples from Evelyn, Fraser, and Clay. Nandini from India told us about the Holi festival. Erica and Maggie reviewed Google’s Emoji creator. Gabby has written an excellent piece about celebrations that includes some fun polls. Kai had a busy week trying 3 different tasks. Janae tried out a Christmas word search and wants to know if you can beat her time. You can view more great work on our 2018 Student Blogging Challenge Flipboard. 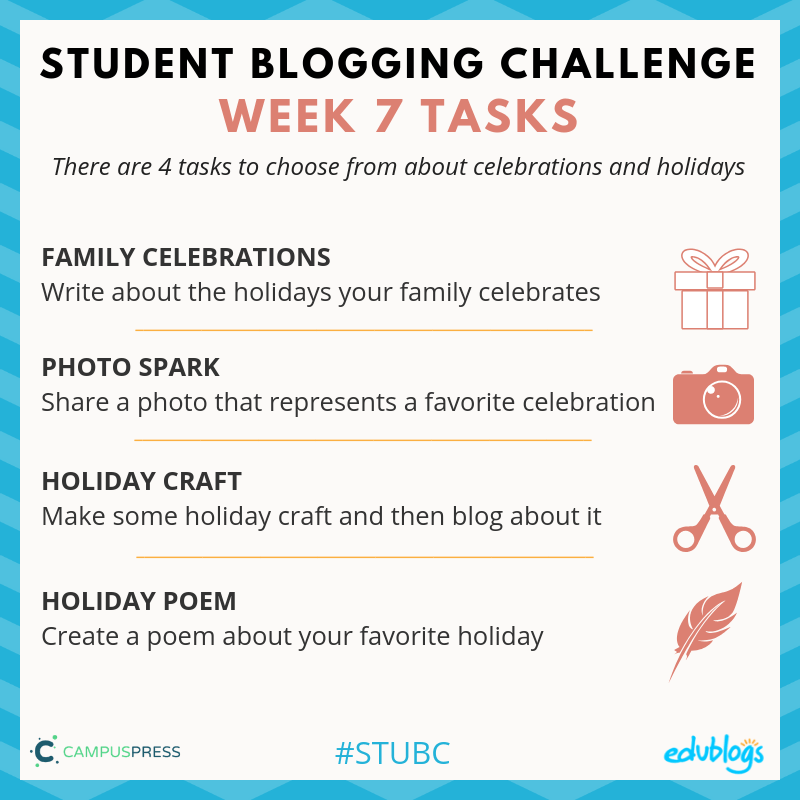 Remember last week we ran a poll to see which holidays our STUBC participants celebrate? We had 1015 responses! 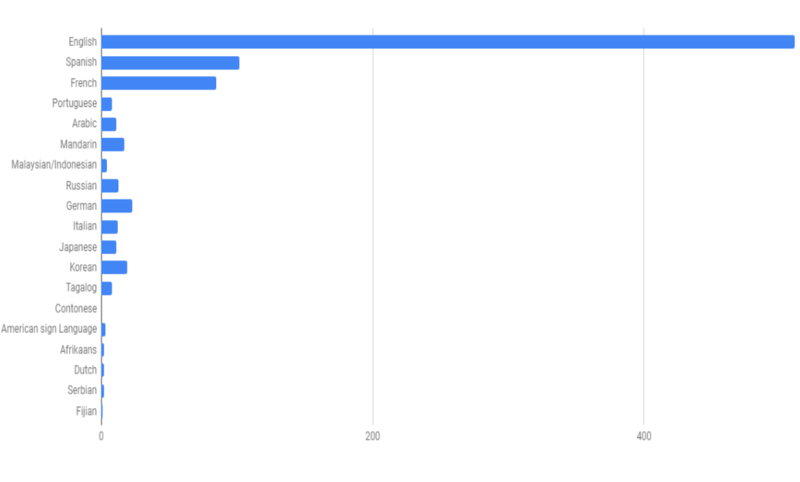 Here are the most popular responses: What do you celebrate? Other responses included birthdays, Eid, 4th of July, Chinese New Year, Valentine’s Day, St. Patrick’s Day, Yom Kippur, Rosh Hashanah, and Vaisakhi. Tip: I made the chart above by entering the survey data into a free online tool called BEAM. It’s handy! I invited a young coder who works for Edublogs to tell you about himself. Alex is a 17-year-old school student in the United States. He became vision impaired during 9th grade and lost most of his sight within 6 months. Alex would LOVE you to comment on this post. 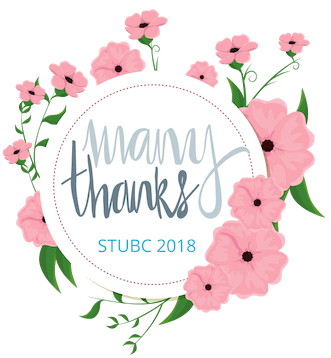 My name is Alex and I work as an accessibility developer and system administrator for Incsub which is the company behind Edublogs. I started here at Incsub in May 2017 just days after I turned sixteen years old. I go to school in the day and work in the night. Although this job can be demanding, I always love the challenge it offers me day by day. One of my main roles is to ensure all servers are running properly and respond when automation fails. Basically, I make sure we stay online. I have helped with building infrastructure components and hosting. This means I built the parts that make our servers work to host our sites and helped with moving networks of websites to our servers. My other working time is spent ensuring all Incsub sites (including Edublogs, CampusPress, and WPMU DEV) stay completely accessible to visually impaired users who rely on screen reading technology. A screen reader reads aloud the screen for people who can’t see or have other limitations. Although some would see visual impairment as something you can’t live with, I assure you it’s very possible. When I first started at Incsub I was hired to provide live chat support for WPMU DEV (a WordPress company that’s part of Incsub). That would later translate into becoming an accessibility developer. (Developer is another word for coder or programmer). I study our company sites weekly to ensure they are accessible to everyone. The sad news is most sites are not. Just because I cannot see very much, I cannot use a lot of websites. Now I get to work every day to ensure all sites are accessible within Incsub as everyone deserves the same opportunity for accessing the web. Learning to code wasn’t all that challenging. I first started learning basic HTML in the 7th grade. It just took off from there. I found WordPress, signed up for web hosting, and started learning the ways of web development. Moving on from accessibility development, I ran into system administration (upkeeping and configuring servers). I started learning with a company called Linux Academy. It’s an online program that allows you to learn Linux concepts, Cloud basics, Docker, and a whole host of other subjects. I’m still very much in the practice stages but getting better every day. It’s cool what you can do with servers and don’t let your disability stand in your way. It is very important to me that the younger audiences get involved with coding. Without the younger generation, the sharing of information starts to drop. We need to keep this open sharing idea around. That way, everyone can learn from each other. It is truly the sharing of information that makes everyone smarter. Getting the young involved in technology should increase the chance of them finding a really good paying job in the future, after graduation. What are you curious about? Do you have any other questions for Alex? He’s very happy for you to leave a comment on Mrs. Morris’s week 9 post. Below is a picture of Alex at work at a big WordCamp event last year (that’s a WordPress conference. WordPress is the software that powers 30% of the web including Edublogs and CampusPress). Alex is wearing the yellow and black hoodie. Thanks all the people who were at the #a11y table of the #WCUS contributor day! Especially @jdelia and Katherine White for testing Gutenberg for a full day. And a big shoutout to Alex Stine, a 16 yr old web dev that helps with coding and testing with NVDA. Coding is basically a set of words that tell your blog, a website, an app, a game, or other software what to do. Without coding, a computer or device won’t do anything. Here are some videos that explain coding further. This is a great one-minute video for younger students to explains coding. Older students might enjoy this one-minute video. This 4-minute video is also a great explanation for older students with a few more details. Computer Science Education Week runs annually worldwide. This year, it’s being held from 3-8 December. Many schools, teachers, and students participate in Hour of Code during Computer Science Education Week. Why is computer science worth celebrating and promoting? This video shows us how computer science is improving so many areas of our life. Hour of Code is designed to introduce young people worldwide to the basics of coding and computer science through one-hour coding activities. While these activities are promoted during Computer Science Education Week, they can be done at any time throughout the year. In the early days of the internet, if you wanted a blog or website, you had to know how to code it yourself. Nowadays, most of the hard work is done for us and anyone can claim a website in minutes. For example, you can go to edublogs.org and sign up for a free blog. You don’t need to make your blog. All you need to worry about is the design and content. Despite that fact that you don’t have to know how to code to be a part of the online community, there are many reasons why having some basic understandings of coding is helpful. Customize aspects of your blog (like adding/editing embed code). Troubleshoot (when something doesn’t look right, you can check the code for obvious errors). Learn important skills like logical thinking, creativity, and communication. Consider a wide range of career paths and explore coding in more depth. This week there are three tasks to choose from. We strongly encourage you to complete the first task and leave a comment for Alex. He’d love to hear from you! 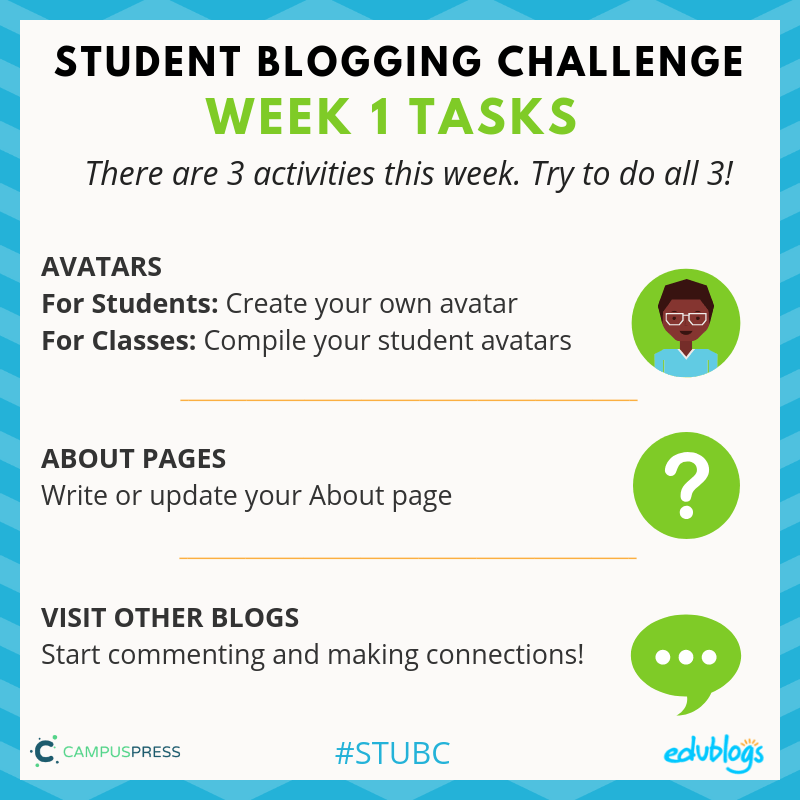 All tasks are suitable for student bloggers and I’ve offered ideas on how they can be adapted for classes. Go back and re-read the blurb above about Alex. Alex certainly has an inspiring story to share. Despite being blind and a school student, he’s an outstanding self-taught coder and a highly valued member of staff at Edublogs. Leave a comment on Mrs. Morris’s week 9 post. Scroll down to find the commenting box at the bottom of this post. Maybe you want to know about learning to code, using a computer as a blind person, managing school and a job, or anything else! For this task, try an Hour of Code activity and write a blog post about it. 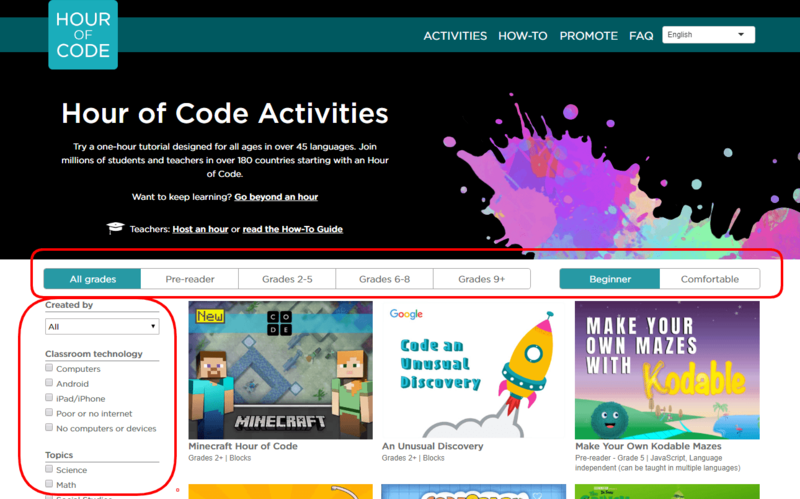 The Hour of Code website is jam-packed with activities that you can try! A good place to start is the ‘student-guided tutorials‘. Don’t worry if you haven’t tried coding before, you’ll be walked through what to do. It’s fun! Be sure to filter your search results to find a suitable activity. You’ll see the ages listed on the bar at the top from pre-readers up to Grades 9+. Along the left-hand side, you can also filter activities based on what technology you have and what topics you’d like to explore. When you’ve tried out an activity, write a blog post about it. Make sure you include the link to the activity (a screenshot would be awesome too!). Review the activity. Tell your readers what you learned and whether you recommend it to others. While you’re creating a post, you’ll notice that there is a visual editor and text editor. Switching between the two is easy but we mostly write our blog posts using the visual editor. It’s based on a ‘what you see is what you get’ framework (just like programs like Microsoft Word or Google Docs). Unlike the visual editor, the text editor requires you to add any formatting such as italics, bold, links, and spacing manually using HTML (although there are some shortcut buttons you can use). HTML is a computer language that stands for Hypertext Markup Language. It’s the standard language for creating web pages. This activity involves trying some HTML by writing the code in the text editor. You can also use HTML in comments. When you’ve had a go at trying HTML, write a blog post about it and tell everyone how you went. Was it easy/hard? Did you learn anything new? Too easy? More advanced coders can look up the HTML for different functions like headings, lists (bullet points), color, horizontal rule (line), and more. There are a LOT of guides to learning HTML online. You might even make your own cheat sheet and publish it for others! If you want a commenter and other participants to visit your blog, remember to fill in the Google Form below. The year is quickly drawing to a close and for a lot of people, that means the season of celebrations is upon them. 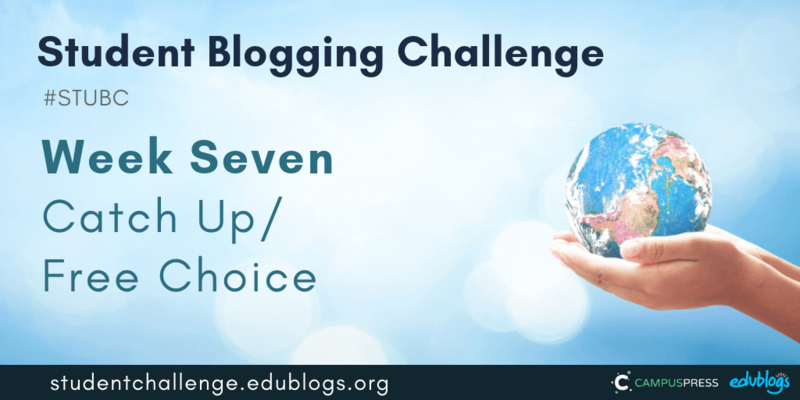 Last week we had some students publish ‘free choice’ posts. Noe is from California and shared some information about the recent fires. Evelyn wants to know what games you play. Amelia shared her experiences being homeschooled. Jayla went back and completed some more tasks from topics she enjoyed including this Emoji Kahoot! Noah told us about his ffavoritesport — field hockey. Izzy wrote an excellent post about a family vacation. Ash shared some information on the Mona Lisa. Some people have put a link to a Google Doc/Form/Slide presentation in their post BUT it can’t be viewed without logging in. This resource shows you how to make your Google Docs, Sheets, Slides, and Forms public. Do your posts have images? Images make posts much more shareable and they stand out a lot more on our Flipboard magazine. Remember, you can’t just use any image you find online in your blog posts. Re-read the information in the week 3 postto find out free and easy options for images you can use. 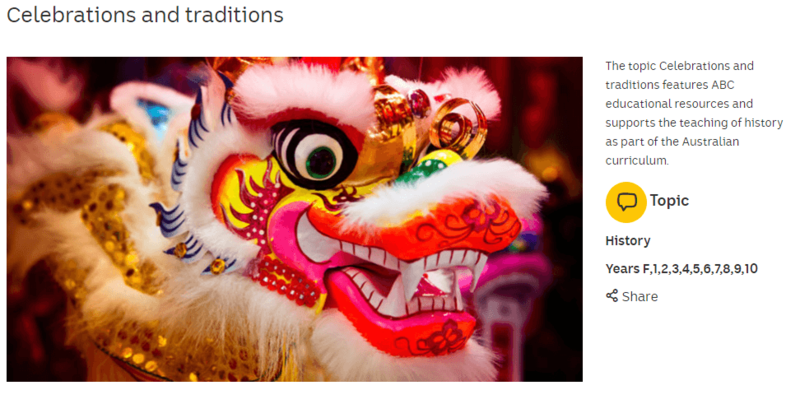 Around the world, people celebrate different holidays and festivals. As we learned in week five, there are many benefits to learning about similarities and differences. This week there are five tasks to choose from that explore holidays, celebrations, and festivities. Think of all the holidays, festivals, or celebrations that are important to your family. Write a blog post about this. Don’t forget the essentials of a great post! What you do to celebrate? Are there special costumes, decorations, music, lights, food, prayers etc? Often, holidays and celebrations include different decorations, food, costumes, or other objects. Think of a celebration that’s important in your family and share at least two photos of something that represents that holiday. Write a reflection to give readers an idea of the significance of this object. Don’t forget the essentials of a great post! 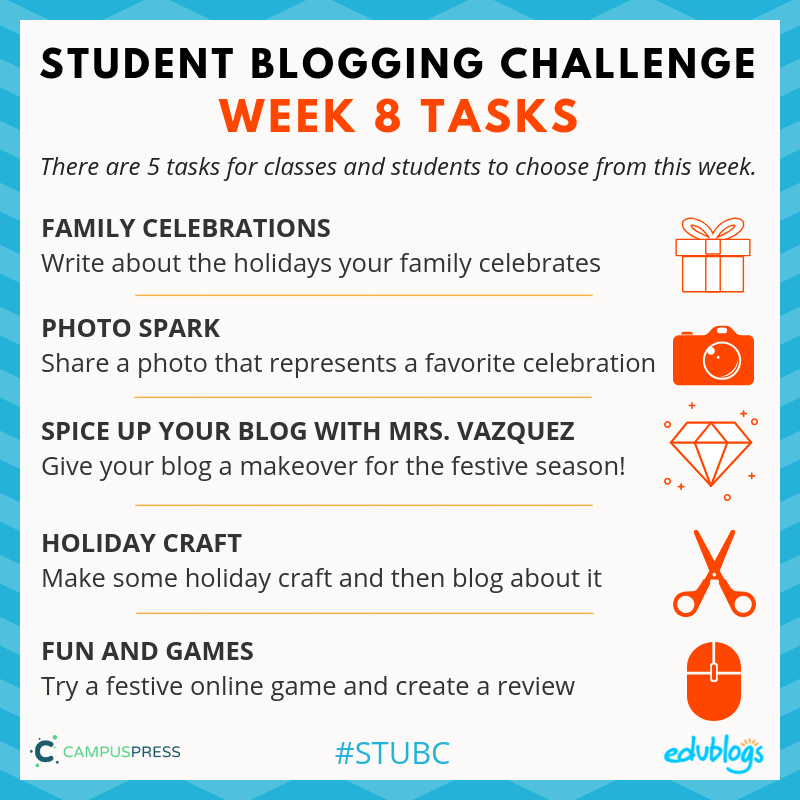 Your house or classroom isn’t the only place you can decorate for the holidays, why not decorate your blog? 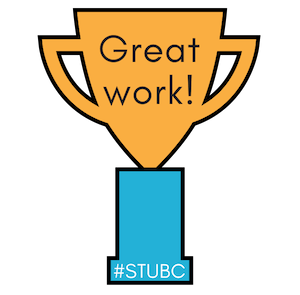 Alethea Vazquez is a wonderful teacher who is a commenter and a past STUBC participant. She has been very busy helping us with this task. Head to Mrs. Vazquez’s “Christmas Fun” blog to get lots of ideas for themes, backgrounds, widgets, countdowns, music, puzzles and more! Tip: Decorating your blog is fun but make sure your visitors can still read your posts amongst all the colour and action. 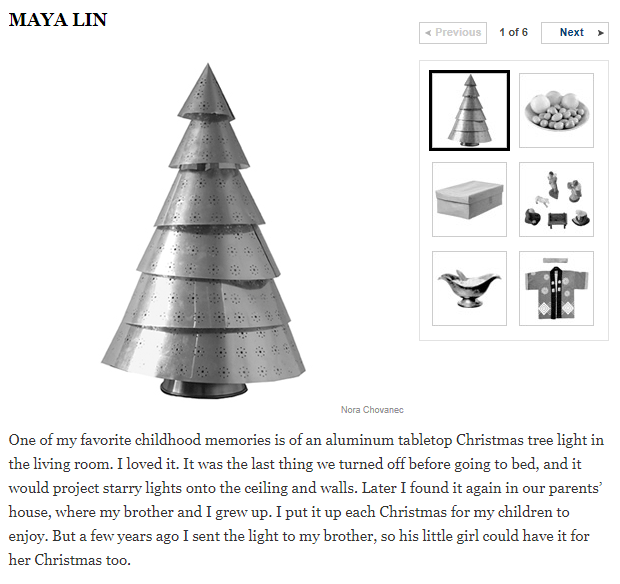 If you decorate your blog, you might want to write a post about it telling others what you did. You can then submit your post in the Google Form below. The holiday season can be a great time to make some craft! Create something and then add a photo of it to a blog post with a description. Or you could even make a video tutorial for your readers! Don’t forget the essentials of a great post! If you find inspiration from a website, be sure to include the link in your post. Origami Club has a list of origami (paper folding) objects you can make with a Christmas theme. 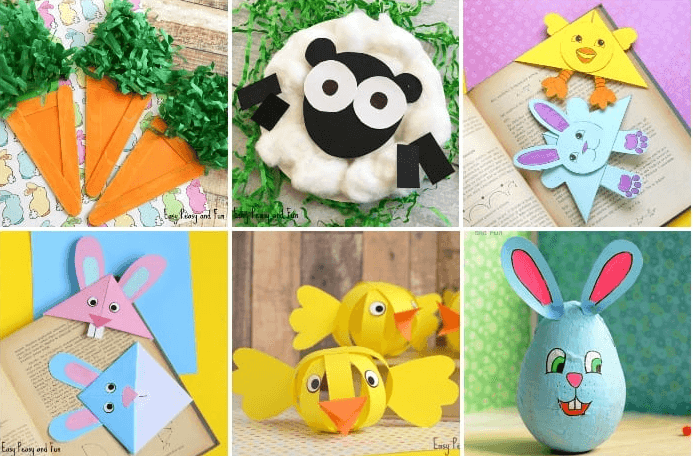 There is origami for other holidays too. 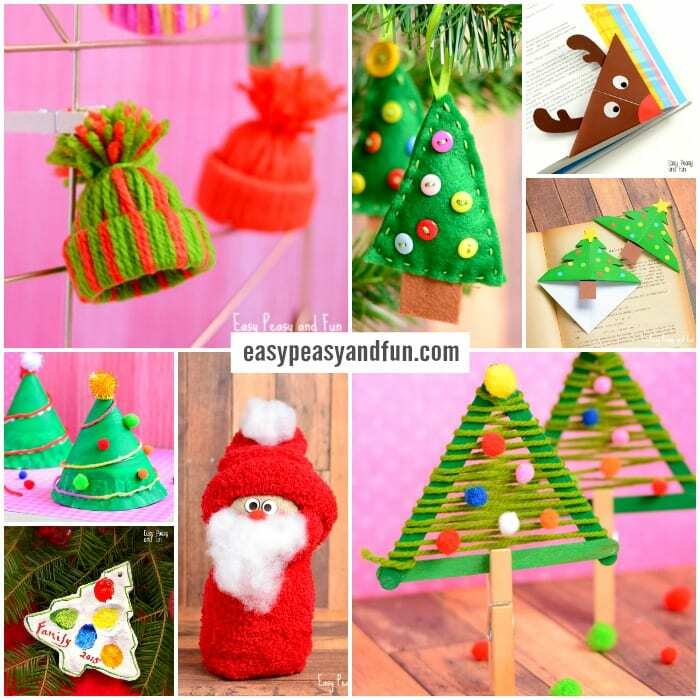 Easy Peasy and Fun has lots of Christmas craft ideas. Once you try out at least two sites, write a blog post about it and let others know whether you recommend it. You should take a screenshot of the site and include the link. Don’t forget the essentials of a great post! There are lots of fun websites online where you can play games, create things, and get in the holiday spirit! Here are some examples of sites. If you know some good sites, please leave a comment and let us know! Google’s Santa Tracker has a range of different activities from coding to mapping to translating. They are available in December. Check them out here in December. Topmarks has a selection of Christmas games. Many are for younger students. 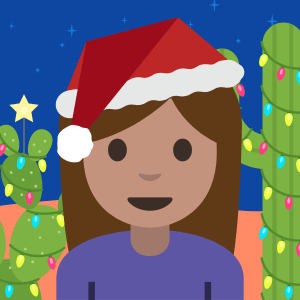 Google’s Emoji Creator that we mentioned in week 4 has had a holiday makeover. You can make your own emoji with a festive look. Check it out. Phew! You’ve been working hard and now it’s time to catch your breath. This week you’ll have some space to catch up on old tasks that interest you or write a free choice post. There were many great posts submitted again by classes and students. You can find them all here (or click on the week six box on the sidebar on Mrs. Morris’s page). The students in Mr. Howie’s class in Serbia all contributed to a class A-Z of science. Jordyn incorporated her love for animals into an excellent post called What-ology? Sophia made a great A-Z of science. Kate has created two rounds of a ‘two truths and one lie’ quiz. She’ll respond to you in the comments. Mrs. Kazanidi Class in Greece explains how a lot of science vocabulary comes from Greek words. Daniel has researched non-Newtonian fluids and has a quiz for you. Muscle Master has written about the life cycle of crayfish. Bo reflects on a science video from America’s Got Talent. Do your posts have images? Images make posts much more shareable and they stand out a lot more on our Flipboard magazine. Remember in week 3 we discussed that you can’t just use any image you find online in your blog posts? Sadly, I’ve noticed some people are still doing this. You might want to re-read the information in the week 3 post and go back and edit some of your old posts that include images that are not free to use. You might not have had the chance to complete a task for week 1-6. Or you might have enjoyed one of the topics so much, you’d like to complete an additional task. Go for it. Here are the links (you’ll also find them on the sidebar of the challenge blog). Remember, the forms are now closed for the week 1-4 tasks but you can submit your task for weeks 5 or 6. You’ll find the Google Forms at the end of the posts. What’s something that interests you? Write a post about it! Don’t forget about the essentials of a great post. Stuck for ideas? Check out these blogging prompts for students. If you write a free choice post this week, feel free to submit it in the Google Form. You might have a bit of extra time this week so it could be a good opportunity to visit at least one other blog and leave a quality comment. Two Truths and a Lie about Science! The middle school students teamed up to create a “two truths and a lie” challenge! Can you figure out which statement on each slide is false?? Leave a comment with your guesses! Some people think blogging is all about reading and writing but it doesn’t have to be. You can integrate any subject into blogging. This week we’re zooming in on science and there’s something for everyone! There were lots of great responses to our tasks about similarities and differences. You can find all the submitted tasks here (or click on the week 5 box on the sidebar). Many of these posts are interactive so the students would love to get a comment from you! Lily was super creative getting to know her readers with a ‘Which Disney princess are you?’ quiz. Rhiann drew a picture and asks how you like your food. Morgan did a great job completing a number of different tasks that includes Google Forms. Wolf used a tool called Voki to share a book review. Cora explains the music genres she enjoys most and shared some videos. Loe made some images and asks what sort of person you are. Emily has 10 questions for her readers which she’d like you to answer in a comment. Lianna is surveying her readers with quizzes made with AnswerGarden and Google Forms. Remember — if you use a tool to create something, it’s a good idea to provide your readers with the link to the site so they know how you did it. Last week we invited you to take our quick language poll to see what languages our participants speak. While English is the predominant language, there were a LOT of languages represented in our STUBC community. How wonderful! We had nearly 800 responses! (I have now closed the poll). Do you have science classes at your school? Even if you’re not formally studying science, science is all around us! Learning about science just means understanding our world better. Scientists learn about the world by describing, observing, and experimenting. Anyone can be a scientist! Want to watch a short overview of the nature of science? This 3-minute video might help. The great thing about science is there are so many different fields and topics. Perhaps there are some areas of science you find very fascinating and others that aren’t really your cup of tea. There are three main branches of science that are further divided into different categories. The Physical Sciences: This includes things like physics, chemistry, and astronomy. The Earth Sciences: This includes things like geology, paleontology, and meteorology. The Life Sciences: This includes things like botany, medicine, and zoology. What areas of science interest you? Task one involves blogging about this. Here are 8 great reasons why children should enjoy science more (created by psysci.co). Do you have any more ideas about why science is important? Leave a comment or write a blog post about it! 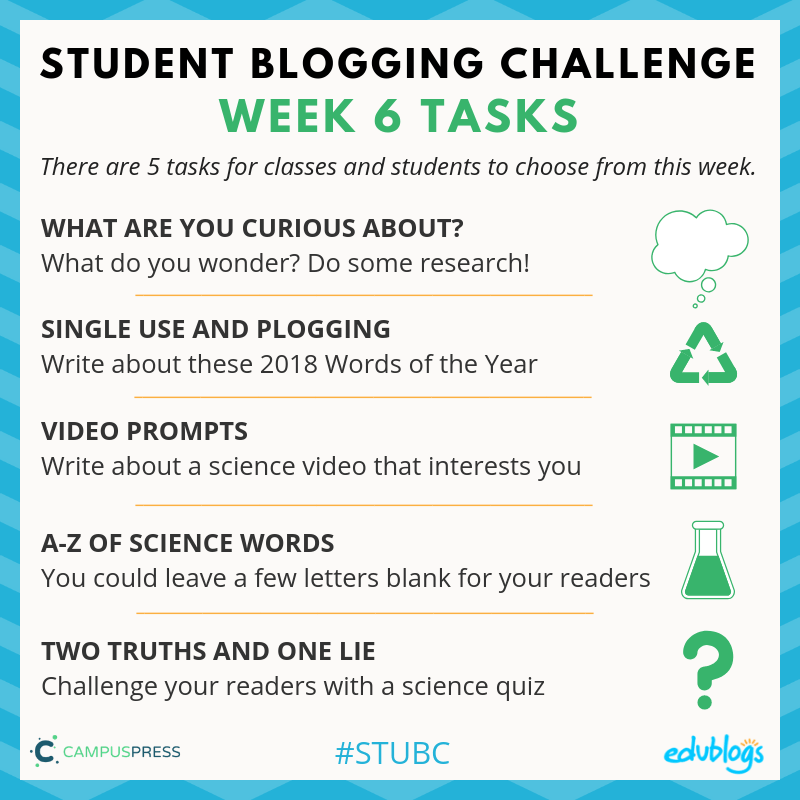 This week there are five science-related tasks to choose from. Task 1: What Are You Curious About? For this task, consider what you’re curious about (related to a particular scientific field) and write a blog post about it. Don’t forget the essentials of a great post! Are there any particular scientific fields that interest you? Perhaps you could do some research into the different areas of science. Maybe you could explain some different scientific fields. Look around you. What do you wonder? Maybe you’re curious about how the internet works or where rain comes from or life on Mars? Do some research and write a blog post about what you find. Your task is to write a post about “single-use”, “plogging,” or any other environmental issue that interests you. Don’t forget the essentials of a great post! Write a persuasive piece about why single-use items are a good/bad idea. Make a poster encouraging people to recycle, re-use, or try plogging. Do some research into plogging and write a ‘how-to’ for others. Explain what initiatives operate in your community or school to help the environment. Do you have a recycling service? Do stores offer you plastic bags? Can you recycle soft plastics to be made into things like playground equipment (for example, we have the REDcycle program that does this). Any of the above ideas could also be adapted into videos if you’re feeling especially creative! This week, Collins dictionary announced their Word of the Year — “single-use”. There has been a rise in public awareness about plastic pollution recently and many communities are taking a stand. 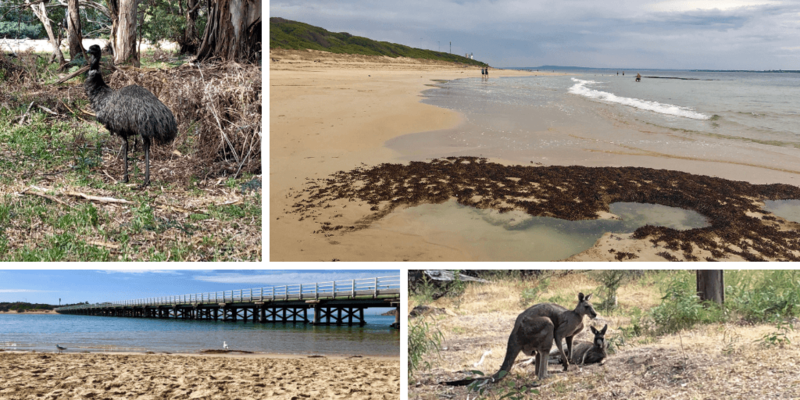 For example, in most parts of Australia, the major supermarkets and other stores no longer provide free plastic bags. You can read more about the Word of the Year here. Find a video that interests you, then write a blog post about it. You might write a summary of the video and include your own thoughts or questions. Don’t forget the essentials of a great post! Or, you can make a quiz for your readers about the video. Invite them to answer the quiz in a comment. Remember to include the video in your blog post. Find out how to add a video from YouTube using Edublogs/CampusPress here. 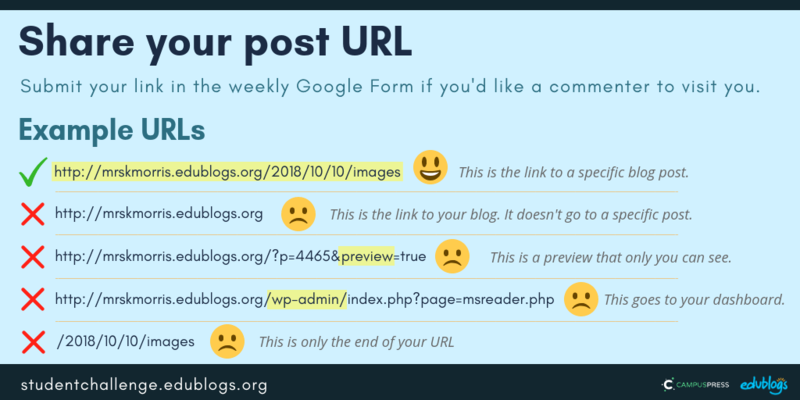 (Tip: If you have a free blog, use the URL method). There are lots of great science videos online. 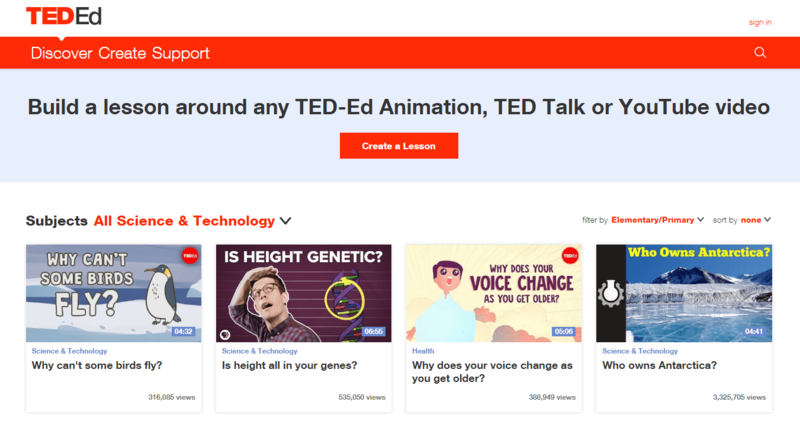 TED-Ed (Tip: Click on filter to find videos suitable for your age group). SciShow Kids YouTube Channel (under 13s should check with adults about accessing YouTube). Science can involve a lot of terminology or interesting words. Your task is to make your own A-Z of words relating to science. You could even leave a few letters blank and ask for suggestions in a comment. Include at least two images. Don’t forget to add links to the websites where you got your information from! Submit Your Post URL to the Google Form. With a partner in your section, challenge your readers with a simple “two truths and one lie” science quiz. Your task is to give two correct science statements and one incorrect science statement to the collective Google Slides in Google Classroom. Do some research in a book or online to make sure your information is accurate. If you use a website, include the link in your slide. Ask your readers to guess the lie! Include a link to both of your blogs in your slide! The smallest bone in the body is found in the middle ear. An archeologist studies the atmosphere and weather patterns. The blue whale is the largest animal in the world. Can you guess which one is not true?